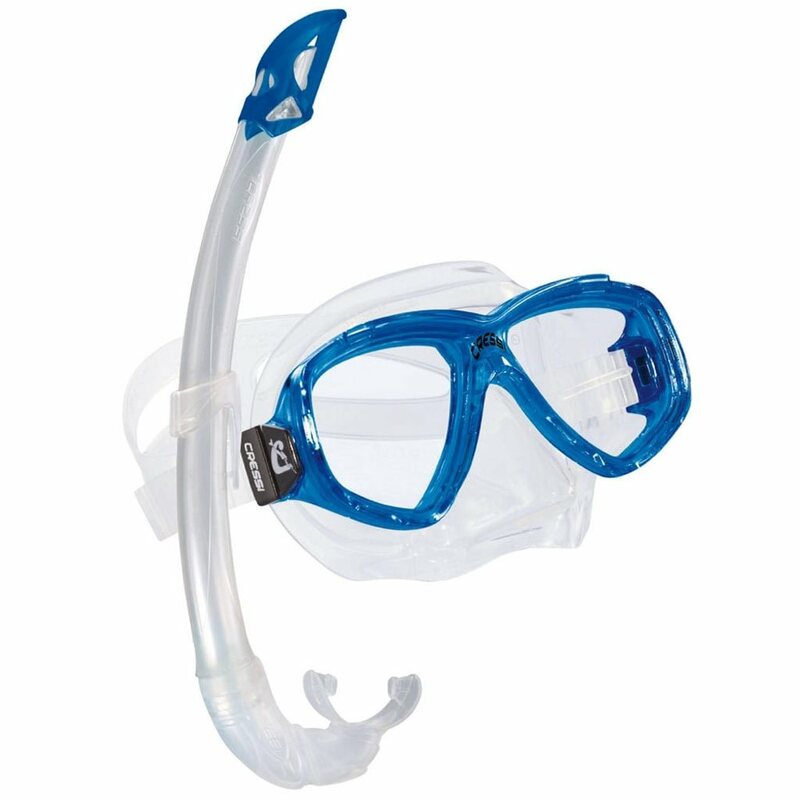 The Cressi Perla Mask and Snorkel Set is a mid size adult mask that fits majority of faces. It is made with a high quality silicone that is 100% which means that it is very soft and molds to each face comfortably and has tempered glass lenses. When snorkeling it is so incredibly important that the mask is good quality otherwise after an hour in the water with a cheap mask on, it will be uncomfortable and hurt. Here at Dive Warehouse we only keep silicone masks which are the ones that you want to go for. The snorkel is a J Valve with a splash guard on the top to prevent splashing water entering. If you do duck dive under the water, the snorkel will however fill up. If you have any other questions, feel free to contact us at Dive Warehouse. We also carry mesh bags that will keep you snorkel gear together.